the canDIshhh tales: Cookies Unlimited will make you a cookie MONSTER! 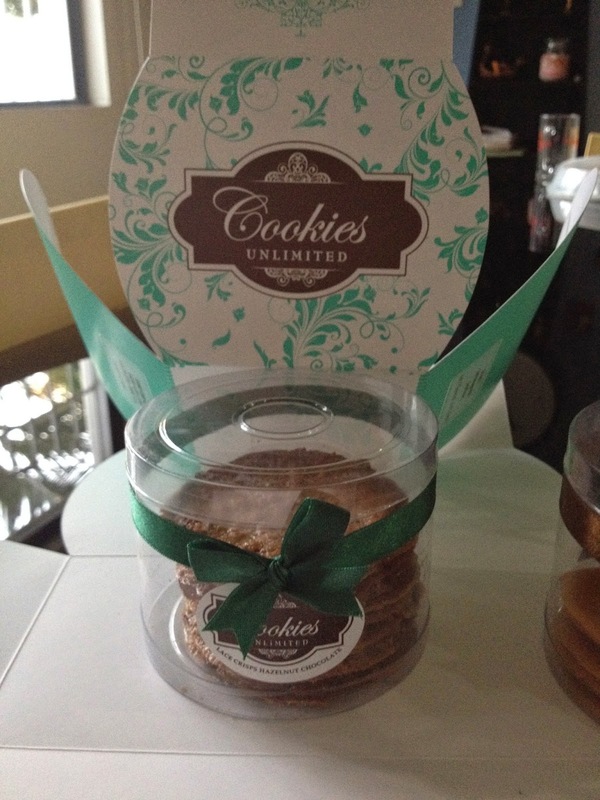 Two weeks ago, I received a package from Cookies Unlimited. The first thing I noticed was the packaging. I absolutely adore anything *transparent* so the bag was a winner. And then I took the carrying boxes out. They were so very pretty! I appreciate nice packaging. I carefully opened the boxes and took out the cookie packs one by one. Presentation is everything, if you ask me. And these cookies - they were oozing with confidence and they're so very attractive to the eye! When I saw that the cookies were thin. I knew that I would like them. 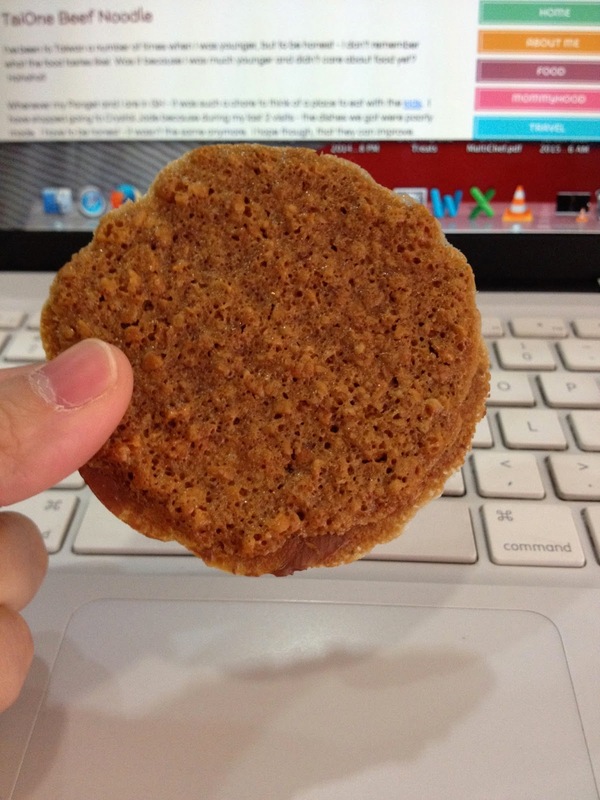 I have a thing for cookies - I prefer big chewy ones or crispy thin ones - I like them in extremes. So here they are - all of them crispy thin. I was admiring each cookie and was thinking how much love was made into these cookies. I know that making thin ones aren't easy. And mind you, these cookies are consistently thin and round. I was impressed! I have just recently took a liking to chocolate - yes, I am a newbie - it started in 2010 when I was pregnant with Kailee. So since there was the Lace Crisps Hazelnut Chocolate - I knew it had to be my first bite. I couldn't wouldn't stop. I was munching on it like crazy! My Panget had to ask permission - but I only allowed him 1 piece, the rest were mine - ALL MINE. And I didn't stop there. I loved it so much that after a few days - I ordered two more from Aubrey. Yes, that was how much I looooooved the lace crisp hazelnut chocolate! 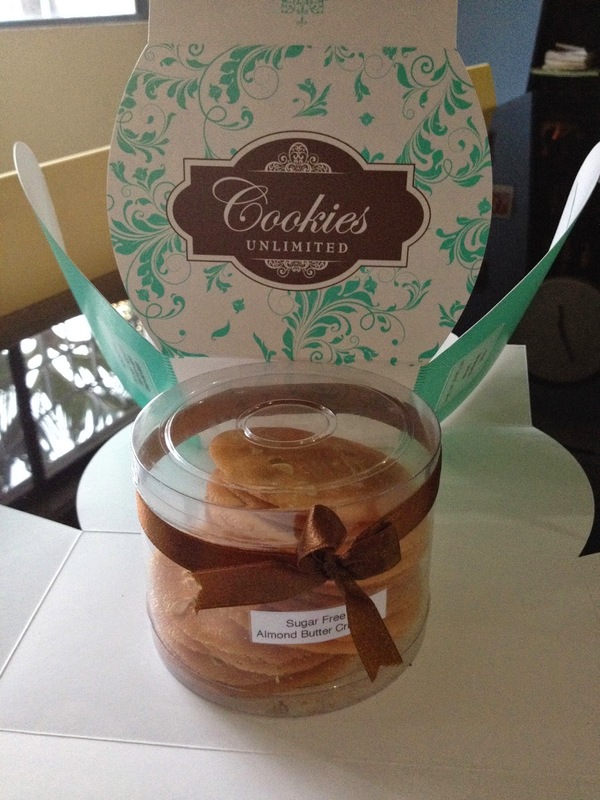 Since I was on a *diet* I shared the cookies with my Panget and my mom. Sorry, if I like something I don't share. Hahahaha! I'm selfish with (actual) food, but all the rest - I am very giving. Hahaha!! (Basta pagkain - galit galit) My Panget instantly liked the cookies as well. He looked so funny because he had all the cookie packs open in front of him and was trying the cookies one after another. The kids were also following his lead - grabbing and biting the cookies. I was hearing compliment after compliment. After having 2 cookies of each flavor (and one of my lace crisps) he said that they were all very good. The kids thought it was a game, and loved the crispy cookies too! We enjoyed the sugar free crispy cookies but my Panget and I are not partial to sugar free treats - but I know that it's something those who enjoy sugar but can't have sugar will appreciate. My Panget's favorite were the Lace Crisps Dark Chocolate and the Chocolate Crisps. Since I was in a *sharing* mood. I had my mom try some of the cookies. She really likes crispy thin cookies - and with the first bite, she too declared that the cookies were really good. I had her try the lace crisps Hazelnut too (just half a piece) and she liked it too! But her favorite was the Almond Butter Crisp. 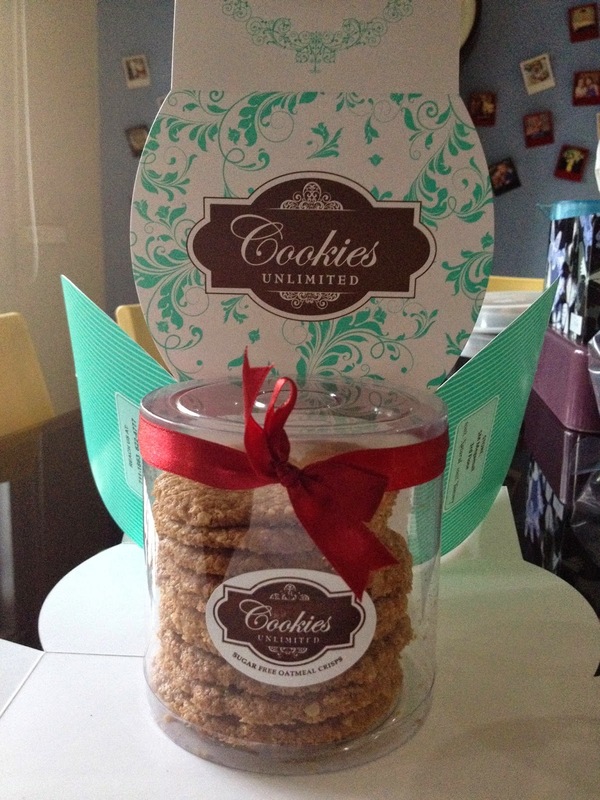 So there - last week, I became a cookie monster because of the yummy yummy crispy cookies from Cookies Unlimited. Try it to believe, I promise you - you won't be disappointed. In fact you will be left wanting for more - just like me! 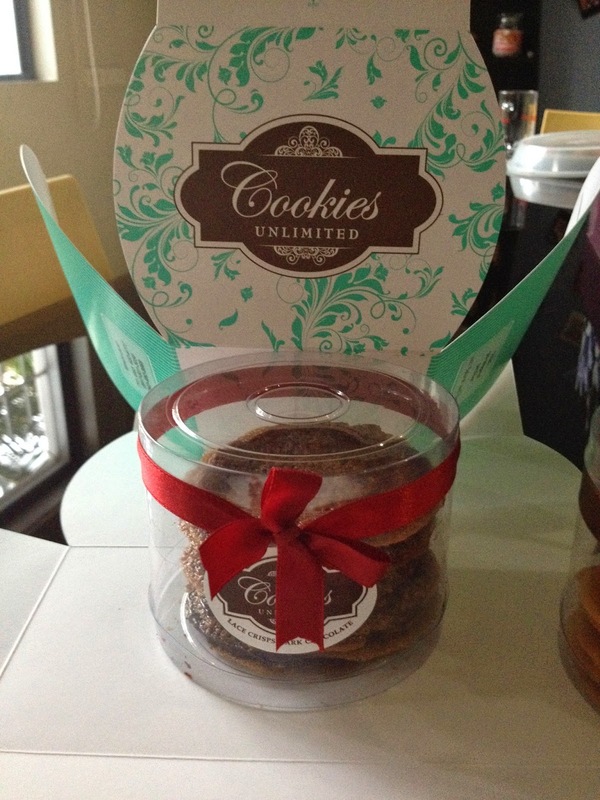 Cookies Unlimited has a kiosk in SM Mega Fashion Hall. 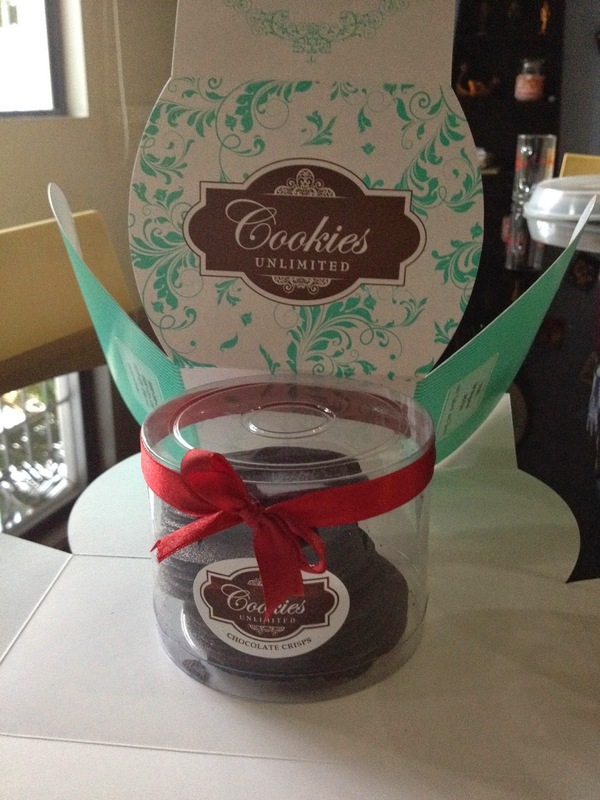 Visit their Facebook page - Cookies Unlimited PH for more information. Aubrey - thank you for making these cookies! I appreciate the love and effort you give to every cookie that you make. Thank you!! I swear, the lace crips hazelnut chocolate - super duper good! I'll text you again soooon! !